We will BEAT any genuine locksmith quote by £10. We are a trusted, local & family run business covering a 25 mile radius of York city centre. *Quotes must be from a locksmith, on a like for like basis and in writing to qualify. We are a local locksmith in York offering locksmith services for residential, commercial and automotive customers at the very best prices in and around York. Although our prices are low we pride ourselves on our customer service levels and indeed have been awarded one of the three best rated locksmiths in York by ThreeBestRated in 2018 then in 2019 we were awarded a certificate of excellence from Bark,com. We are qualified, insured and a local York locksmith who offer a 12 month workmanship guarantee on all our work. When you need the services of a locksmith it’s because something has gone wrong and you need help as quickly as possible. Then there’s the times where you are looking to upgrade your security from old or worn door locks that have started to become difficult to use, or you have just moved to a new property and need the reassurance that only you have the keys to your new home because as most of us do, we cut additional keys for trusted friends and neighbours to look after the property when you are away so how can you be sure you have all the keys? Professional Accreditations / Memberships – Gary was trained and accredited with City & Guilds to become a locksmith, he is also a CORGI Fenestration Skilled Locksmith and to further enhance his customers with trust he is also looking to become a full Member of the Master Locksmiths Association after taking the test early this year. 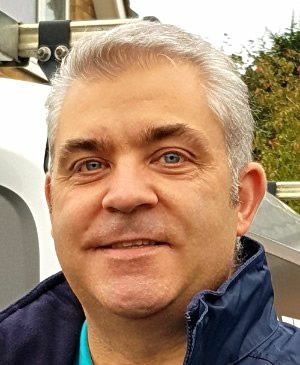 Trusted Reviews – Check out our reviews on Google, Facebook, Bark, Yell, ThreeBestRated and MyBuilder and you will see a pattern of trust and customer service that gary is very proud of and keen to keep building on. Awards From Independent Organisations – In 2018 we won an award as one of the top 3 locksmiths in York from ThreeBestRated, they checked our business, our reviews and our background before awarding us. In 2019 we were awarded a Certificate of Excellence by Bark.com, this was for customer service and they checked our qualifications, background and reviews before awarding us. Insurance Cover – We are insured to £5 Million and also hold Employers liability insurance. Guarantees – As well as all the manufacturers guarantees SCOTT-LOCK LTD also provide a 12 month workmanship guarantee. You CAN trust SCOTT-LOCK LTD for all your locksmith needs in and around York.